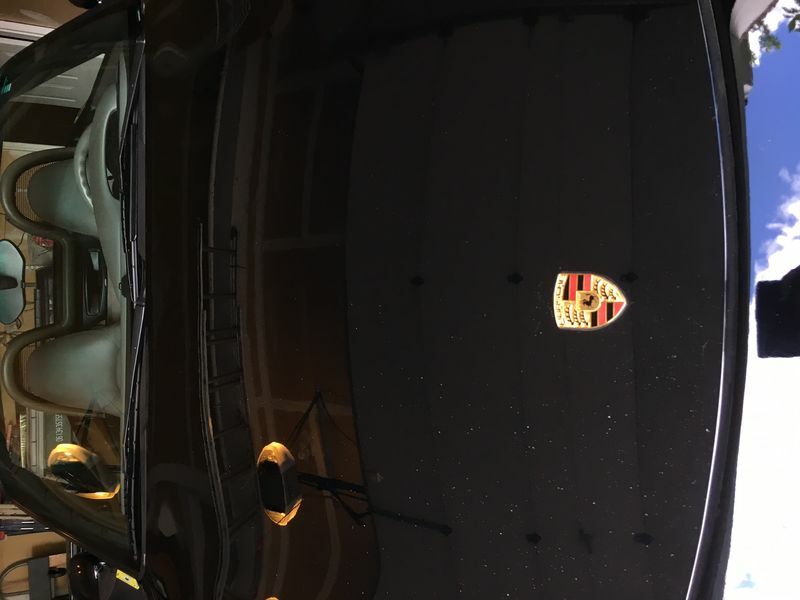 I have a few tiny chips on my lower hood I having been thinking of touching up, but my past experience with normal touch up paint has not been very good. Touching-up is an art. I can't even do it myself properly. Its hard man. Seen a guy doing it locally with thinner-mix + 2000 grit... takes a few more coats but at least you don't end up with a thick layer of paint that looks like a booger. Always been lucky on the color match of those similar touch paint though. This stuff works well, almost impossible to find the chips when done. Last edited by Paul; 06-08-2017 at 06:21 PM. No experience with Dr. colorchip, but another similar product is called Langka leveling fluid. Either from what I understand, can give easy, good "10 foot" results. 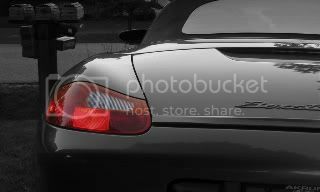 I just arrived at a good technique to level the touch up blob, which allows using the genuine Porsche factory touch-up paint for near-perfect results. It's a bit of work, but nothing extreme... and no wet sanding. Maybe I should post a DIY on it? Yes! Yes, you should post a DIY. I've tried om my car, and though it didn't get worse, it didn't get much better either. I'm happy with how it worked. Some tough spots required repeated treatment but even those got to a pretty acceptable finish. Little bit goes along way, so don't over buy. Jay, thanks for posting the coupon. I purchased the kit to get rid of all my front nose rash. I bought and used the Dr. Colorchip kit a few weeks back. I'm pleased with the results, as I didn't expect the results of a respray, but instead just wanted to get rid of the little white road rash dots that plague a black car. Here's a picture of the hood. I've only done the right side in the picture, so I could compare it to the left. While not a great picture, I think you can see the difference. Hope that helps. I purchased one of the Dr. Colorchip kits and just finished using it on my 986 after about a week of detailing to get the car ready to be touched up. I have to admit, I was disappointed and did not think it worked very well. The paint was only an 85-90% color match, and the "polishing" step to smooth the excess paint often removed all or almost all of the touch up paint. I tried several of their suggested methods for application, and varied the pressure I used when "polishing" and got the same results, mediocre. This is a good kit to minimize big, eye-catching scratches or chips, but in my experience it did not make any chips or scratches "disappear" or make then much less noticeable. It also was not very easy to use. The Sealact needs to be buffed off immediately. It dries in under a minute at 90° F and is a PITA to remove if it dries. I think the primary issue for me was the color match being off. On the rocker guards below the doors, I was happy with the touch-up, because the surface is already textured which helps hide the paint. I also got an okay result on the lower hood with some of the road rash. This is one man's opinion, most people see to like Dr. Colochip, and it is better than the OEM touch-up paint kit. 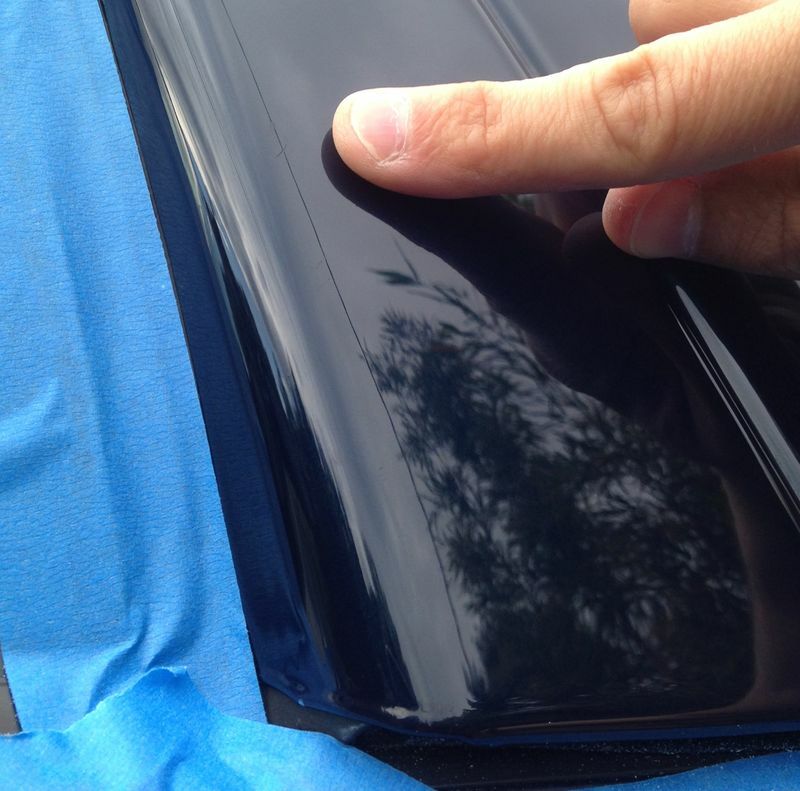 Next time I may try this method with the OEM touch-up paint. *To be fair, Ocean Blue is a gorgeous color, but can be a pain to take care of. Last edited by rick3000; 07-29-2017 at 05:20 PM. Glad to hear I'm not the only one who thinks Dr Color Dip is a rip. The Dr Colorchip paint match is perfect on my GT silver metallic 986. After a little practice, I was able to disappear the chips on my hood and front bumper cover with no problems. No more black speckles. YMMV, but I get a much better result than using conventional touch up paint from the dealer or aftermarket (even when using a leveler product). You can stand directly by the car and still not spot most repairs. Smearing the paint with my thumb or finger rather than dotting or blobbing it on the chip, gentle lateral swipes with the sealact and a light pass with a new microfiber cloth to remove the sealact was the key for me. It was counter intuitive at first, but I got the hang of it with practice. I do Dr Colorchip repairs in my garage on cool paint at 65-75 degrees F.
No clue how well it would work on solid colors, using other application methods or at other temps. After decades of custom work on cars and motorcycles, I do know that paint changes color with age and this poses problems for accurate color match with any product. Last edited by Oldcarguy; 07-30-2017 at 02:32 AM. The guys using it in the UTube vids are professionals that have done this many times. It works if you able to do it like they do. This is also a mobile franchise that does chip repair for car dealers. The agent that called on ours was extremely good at it and, like the guys in the video, could fix really bad road rash. It was hard to believe. He let me try my hand at it and the results were less than his. It does work but I would think it would take a lot of practice, and the correct color match to get close to their results, Difficult but not impossible. Holds up well too. The comments here run the usual gamut when it comes to Dr Colorchip (and, presumably, the Langka system, though I've not tried that one). Some people love it, some not so much. I think one factor is color: some colors tend to work better than others. Don't ask me which, I don't recall--"Search", your friend. I think it also depends on one's technique, which in all honesty I didn't think was all that tough to master. Your level of satisfaction also depends (of course) on what your expectations were going in. I didn't expect anything even approaching miraculous, and that's what I got. It was better than it was before, and I was okay with that (my paint's seal grey, btw). When it comes to road rash, there tends to be LOTS of tiny blemishes...unless you're ridiculously patient, far too many to fill-in one at a time with any sort of actual touch-up paint/clearcoat approach. For larger blemishes, has anyone tried this technique? I have not, but wish I had seen this vid before my last repair attempt. I somehow developed a good-sized chip next to my passenger side door handle. It was bigger than match head sized, but the primer was in good shape---in my mind, however, clearly NOT a good candidate for Dr C. This has been a few years ago, but IIRC I basically cleaned the area w/ isopropyl and I think I also did the rough-up using the sand paper-circle-applied-to-the-pencil-eraser technique. I then meticulously dabbed-in the paint in stages, eventually sanding things down with increasingly super-fine sandpaper. It looked GREAT...until I followed with the (I believe) Porsche-supplied clearcoat. I have NO IDEA why, but for some reason that last step noticeably darkened the color of the touch-up. With time invested, and as smooth and seamless as I had gotten the repair, that outcome was absolutely maddening. Last edited by Frodo; 07-30-2017 at 06:18 AM. To clarify, Dr. Colorchip works, but for the amount of time and effort, I was not very impressed with the results. Over half of the time the touch-up paint was removed by the Sealact "leveling" step. 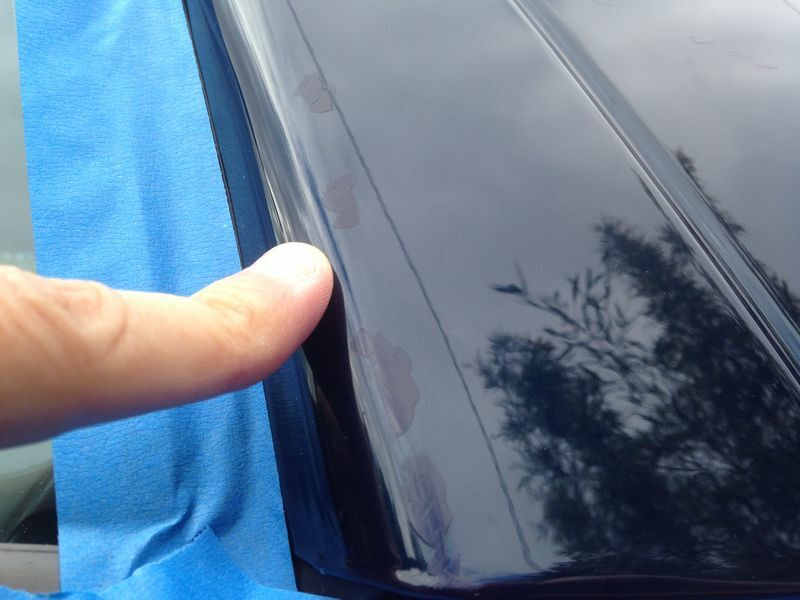 The major issue I had was the amount of "polishing" required to remove the excess paint around a chip or scratch, meant the paint in the scratch or chip got removed too. Oh, I agree with what you're saying. I suspect when I was using it, the temp was not quite so high and I had more time to effectively remove the excess. And, again, there are variable results for different colors, I have no doubt. As I said, it's far from an ideal product...just "better than nothing" basically.